Everyone has heard of a will, the famed document in many a movie drama that determines a huge plot change. You may have heard of trusts, or living trusts, as well, but do you know the difference between these two documents? There are critical differences that are important to know as you go about your estate planning. Read on to learn about trusts and wills and see how they can help you plan for your financial future. A will is a document that outlines what will happen to your property, but only goes into effect after you die. Through a will you are able to only pass on property that is solely in your name, not any property that is held in joint tenancy. A will can designate who receives your assets, and provide instructions for paying any debt or taxes you still owe at the time of death. Wills also designate who will care for minor children, and what property those children will receive. While it may seem straightforward to pass on all of your property to your children or relatives, wills can get complicated, and it is good to have legal counsel during formation. Wills can be changed at any time to modify your wishes concerning your assets and property. A will can be used to name a guardian for your children and to specify funeral arrangements. One of the drawbacks of wills is that they oftentimes have to pass through probate before distribution to beneficiaries which can take time and money. The probate process can result in your assets and distribution becoming more complicated than the holder of the will intended. Wills are also considered public documents, and after death are publicly available. If the probate process doesn’t sound very appealing to you, living trusts are another option for distributing your assets. Living trusts take effect immediately, and can specify how you want your property used during your lifetime, in the event you become incapacitated. If you have an accident, or suffer from a mentally debilitating disease, a living trust can be in place to allocate funds for your care. With a will, your property stays in your name until death, but with a living trust your assets are in the trust and you are the trustee who manages it. If you do become unable to be the trustee during your lifetime, your trust can move to another trustee who you have designated to take control. Your assets will be held in the trust, and will not just be in your name. Obviously, a big benefit of a living trust is that you avoid the time and fees of probate. However, living trusts are much more involved to set up, and can be costly up front. Living trusts, unlike wills, do not become public after death, and always remain a private document. Living trusts can also be harder to challenge in court, and hold up better to scrutiny than wills. Like wills, you may change a living trust at any time up to death. So, which is better, a living will or a trust? 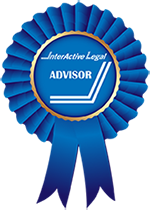 Probably the most important step you can take is talking with a skilled estate planning lawyer to figure out which one fits your particular situation. A will is a good decision for just about everyone, and is a basic document that can ensure that assets pass on to your loved ones when you are gone. If you are looking to avoid probate, or you have more complicated situations, you will want to consider a living trust. If you have no estate plan in place, the state will decide for you, through existing laws, how your property will be distributed. To ensure that your property goes to your loved ones, you should form a will even if you still are planning on creating a living trust. A will can act as a backup plan to your trust, and if there are assets or property that you acquire before death that don’t make it into the trust, a will can ensure your family receives those as well. Both wills and living trusts have their place in the estate planning landscape, and you need to be informed about the consequences of each before you make a decision. This is where a skilled lawyer enters in. You want to ensure that the assets you have built during your lifetime go to your family and loved ones. Trusts and wills can both protect your assets, but knowing how each functions will help you make the best choice. 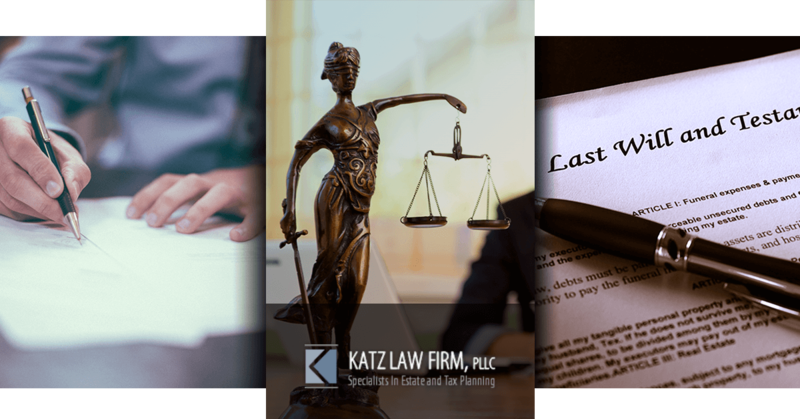 Katz Law Firm in Cedarhurst can assist you in wills, trusts, tax strategies and all of your estate planning needs. We have the experience to help people with all levels of assets make the best financial decisions for the future—call us today!